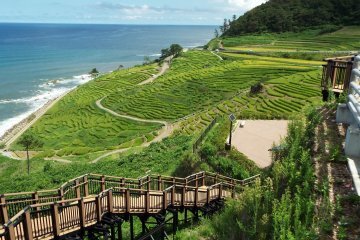 The Wajima region is located on the north-western side of Noto Peninsula in Ishikawa Prefecture of Japan. A rocky coastline borders the peninsula, punctuated by fishing villages. Picturesque farming villages nestle at the foot of forest clad mountains. 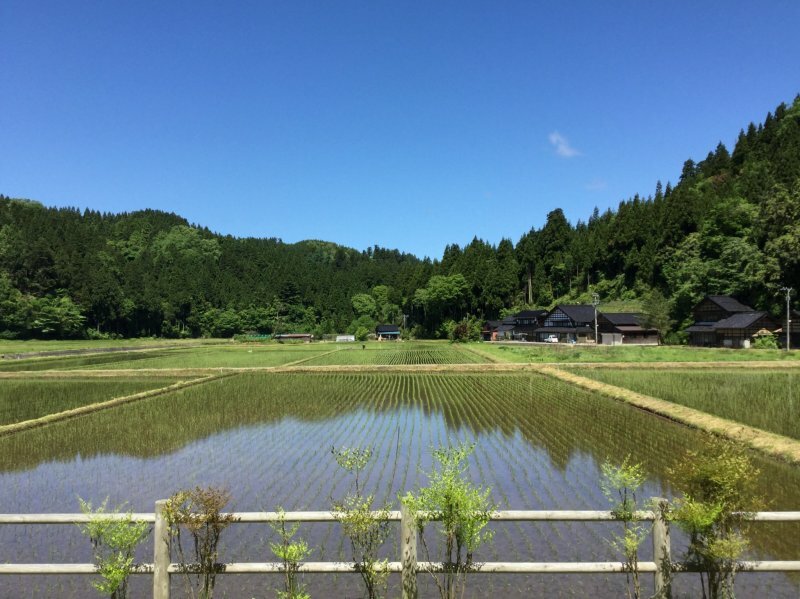 Terraced rice fields, irrigation ponds, fields of buckwheat and vegetables, old farm houses with roofs of thatch or tile and the studios of traditional craftsmen abound. The area is rich in natural beauty, home to farmers, fishermen and craftsmen. Sustainable fishing methods like ama diving are still practiced, and the natural ecosystem has been maintained since the old days. The biodiversity, abundance and beauty of the area are being preserved for future generations. Heritage technology is also being preserved here. 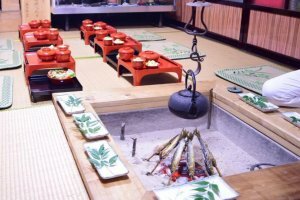 Traditional crafts practised in the area include salt making by a method unique to Noto Peninsula, washi paper-making, wood shaping and Wajima-nuri lacquerware production. Wajima-Nuri lacquerware is famous both in Japan and worldwide. 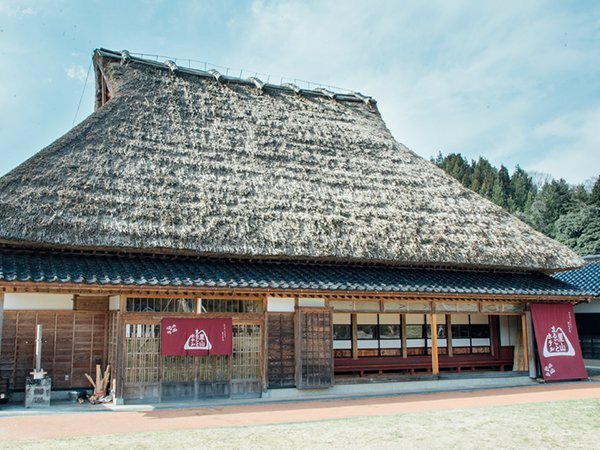 The special process of producing lacquerware in Wajima involves more than one hundred-twenty stages! Lacquerware produced in Wajima uses all natural products - wood, natural resin lacquer, so it is environmentally friendly as well as beautiful and useful. 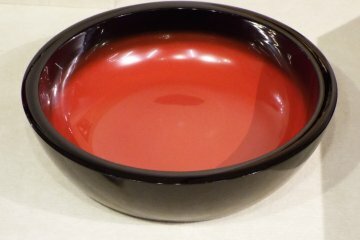 The Kirimoto family has been producing wooden bowls, trays and other items for lacquerware in Wajima for over 200 years. While they are highly skilled traditional artisans, they have also kept up with current trends, and produce items that fit comfortably into modern homes and lifestyles. They make all kinds of things, from chopsticks to furniture, and it is a delight to wander around their store in Wajima. Wajima Salt station is the first salt station no the coast going from Wajima toward Suzu. You can visit the station and see for yourself the process of making delicious mineral rich salt from seawater. 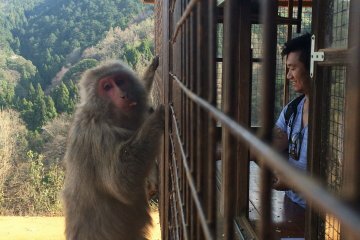 Depending on the timing of your visit you can also get involved in the process. Naturally you can also purchase salty souvenirs and snacks here. 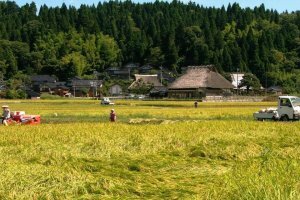 The rice terraces at Shiroyone Senmaida are probably Wajima's best known attraction. 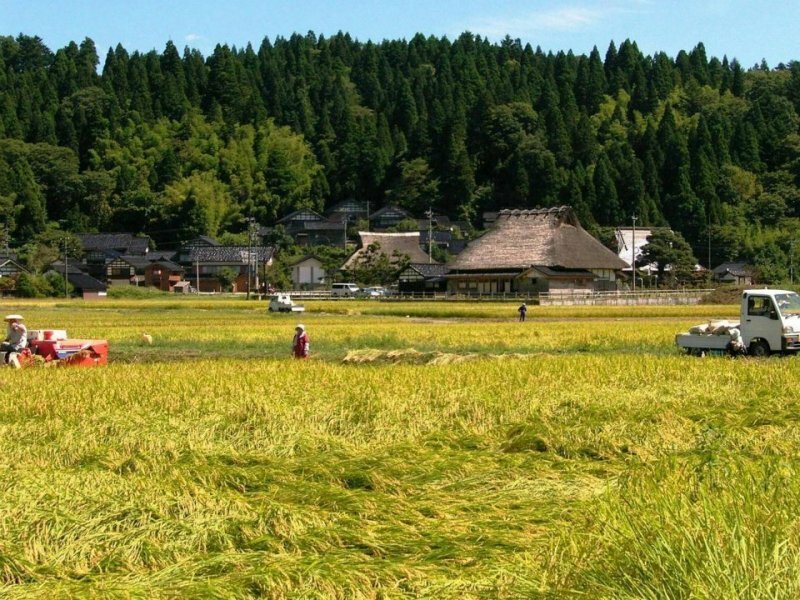 Senmaida means '1000 rice fields'. Actually there are 1004 small paddies and they make a wonderful sight against the ocean backdrop. These amazing rice terraces are cultivated completely by hand - a huge job only made possible by the cooperation of the rice farmers and volunteers from the community. 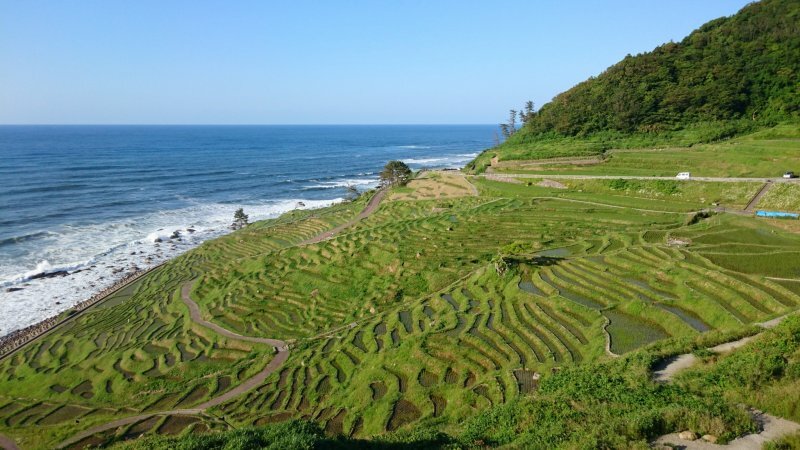 The rice terraces change with the seasons. From late April to July the flooded fields reflect the light, looking especially beautiful at sunset. Late September sees the rice turn from lush green to gold as it ripens. If you visit in winter there is a good chance you can see the terraces outlined in snow. If all that isn't enough, the terraces' curves are lit up at night from mid-October through to mid-March. 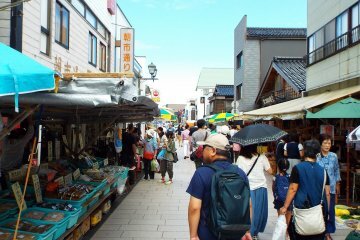 In Wajima you can shop for souvenirs at one of the oldest morning markets (dating back to the 11th century) in Japan. The vendors are mostly local female divers and farmers. You will see natural sea salt, lacquer chopsticks and utensils which all make excellent lightweight small gifts. You can also buy fresh vegetables, pickles, and delicious fresh or dried seafood, including blowfish. There is a place to charcoal grill your purchases if you are feeling hungry. Of course the best produce is sold first, so try to arrive early. The market opens daily from 8 am until noon. 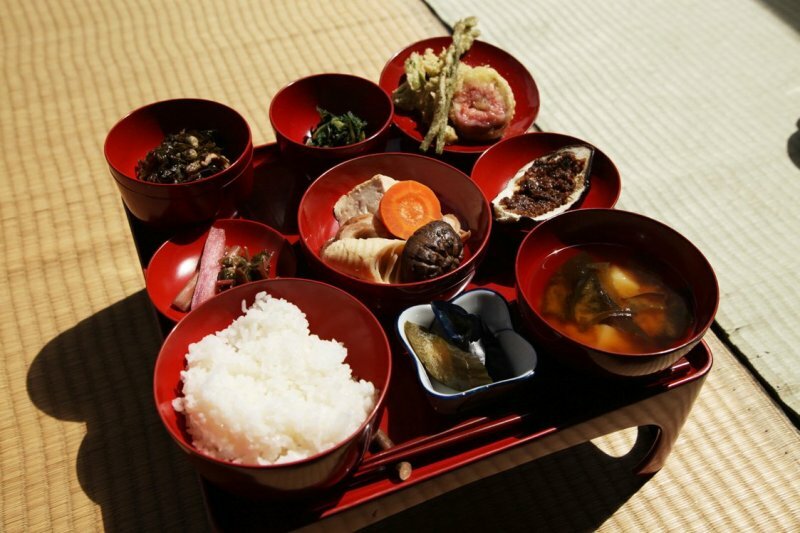 Throughout the summer around 200 Kiriko festivals are held on Noto Peninsula. 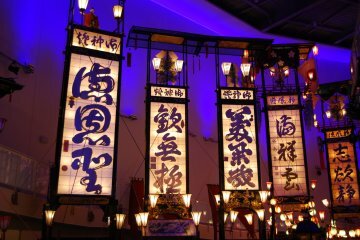 Locals carry tall lantern parade floats up to 15 meters high and sometimes weighing as much as 2 tons in processions through the villages along with mikoshi (portable shrines). 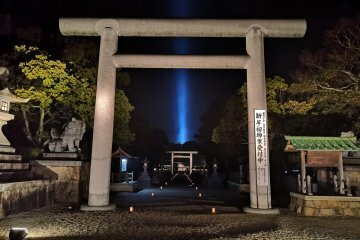 Each local festival is different. For example in one festival the float bearers are all women. The lantern flutes take different forms and sometimes they end up in the ocean. But all the festivals have something in common. They are energetic and exciting! 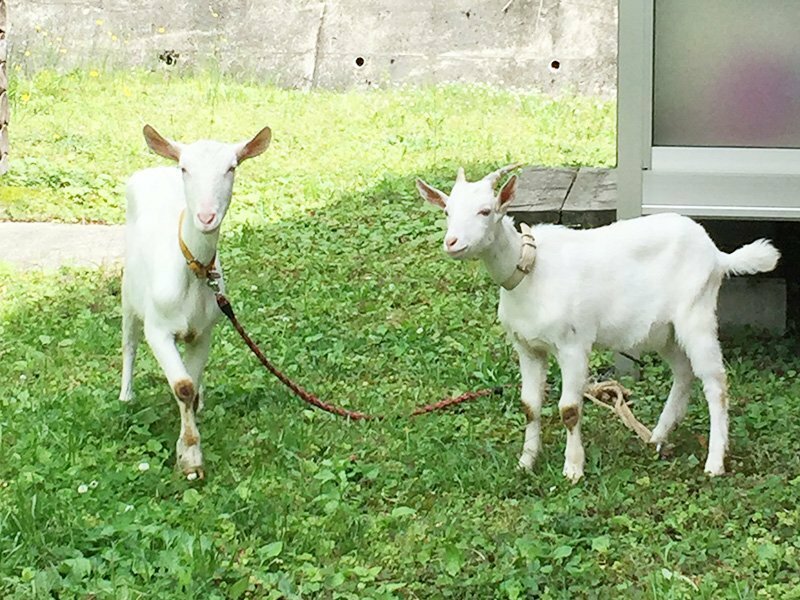 Sightseeing is great but there are other ways to enjoy Wajima. 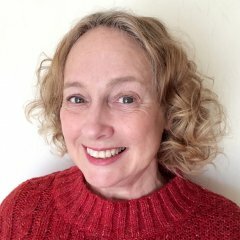 How about trying paper-making? The paper-making workshop starts with viewing some samples created by the teacher. Next you will take a bicycle ride to gather flowers. When you arrive at the studio the teacher will guide you through the process of making handmade Japanese paper embedded with the flowers you gathered. You can create a lovely handmade souvenir of your day, and your completed work will be mailed to you when it has dried thoroughly. 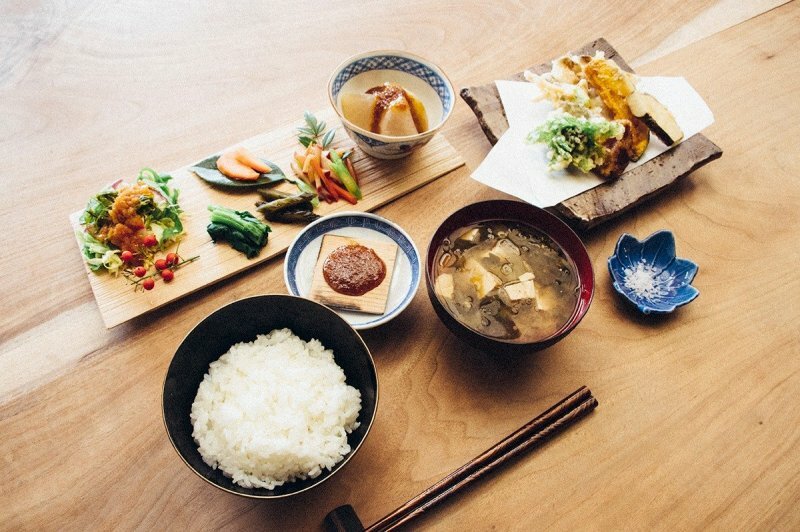 This 2.5 hour workshop runs morning and afternoon sessions from March to October, except on Wednesdays, and costs ¥ 6,500. The price covers everything including bicycle rental and postage of the finished paper. Workshops are limited to 6 people, and you must book by 3pm the day before you want to take part. 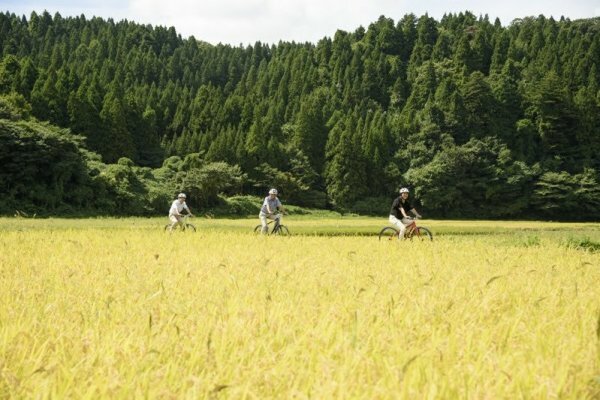 One of the best ways to explore the Japanese countryside and enjoy the special 'good old hometown' ambience is by bicycle. You can join a tour with a guide for ¥4500 which includes helmets, NTB bicycle, insurance and tax. Ride along country paths between rice fields over weather into an old village. Your guide will tell you all about the lifestyle, history and culture of the area. The road is flat so it's easy cycling. 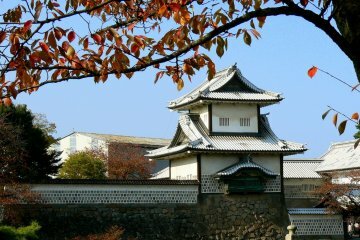 This approximately 2 hour tour runs morning and afternoon from March to October, except on Wednesdays, is limited to 6 people. You should book by 1pm the day before. If you're really ready to chill out you should get an oil treatment with special Noto oils. Created from local ingredients like tsubaki (camellia), hiba (Ishikawa's regional tree) and kuromoji (dwarf Japanese cypress), these gentle oils will help you relax completely. 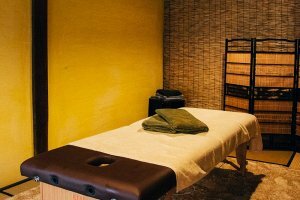 Choose from full body, partial body or facial oil treatments, or go for a soothing massage instead. You can also try locally made flower teas here. 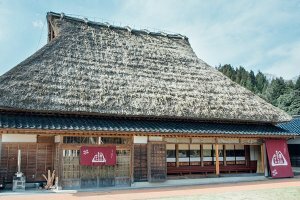 The best place to stay in Wajima is with the locals, with the Yaji property, a thatched roof farmhouse, first opening its doors to guests in 2018. It is not a typical hotel, but more of a minshuku (a family operated bed and breakfast), so you can meet and talk with local people here. 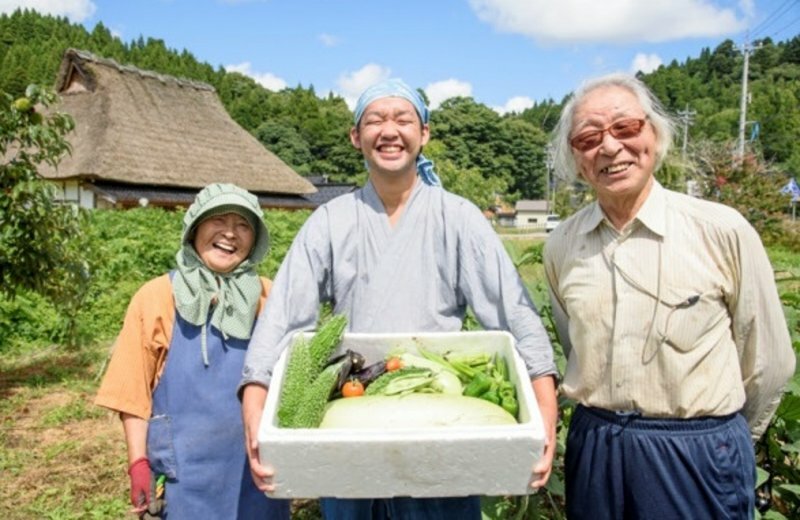 You can help with food preparation and learn about Wajima cuisine. You can also help out in the field. Physical work outdoors can also be very relaxing. 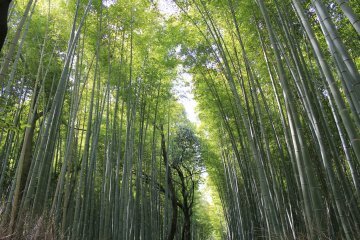 The age old acts of planting, weeding and harvesting has power to calm your mind and restore your body's natural rhythm. The heart of a traditional Japanese farmhouse is the irori, a sunken hearth, and it is very pleasant to just sit around it and sip tea, or perhaps grill snacks like fish and mochi. 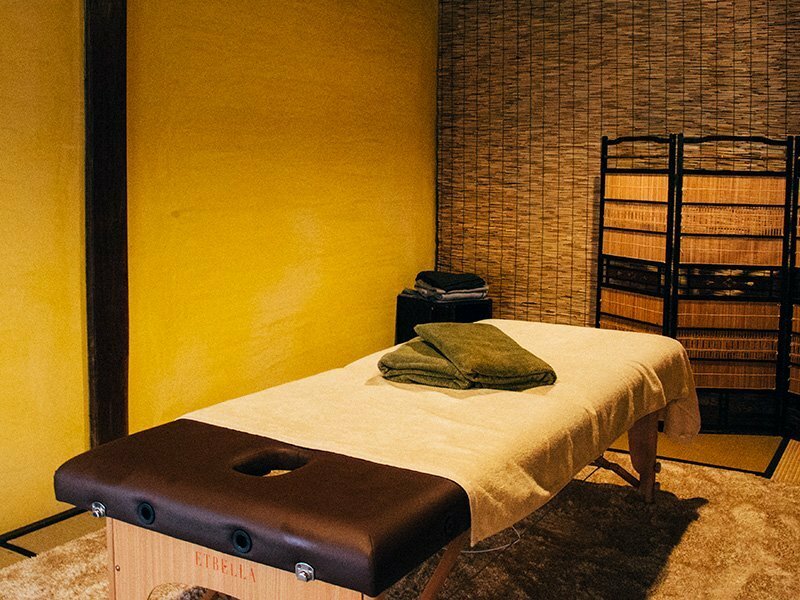 You can reserve accommodation at the Yaji property, and also book an oil treatment, a washi paper-making experience or a cycling tour though Sato Maruyama Hotel’s website.